Or maybe you’ve had one for a while, but it’s been in the box because it seems a little scary. Maybe you have no idea what all of those buttons are for, or what the terminology you see in Instant Pot recipes actually means. If any of those sound familiar, I’ve got you covered! I’ve created a beginner’s guide to Getting Started with Your Pressure Cooker, and it’s perfect for people like you! 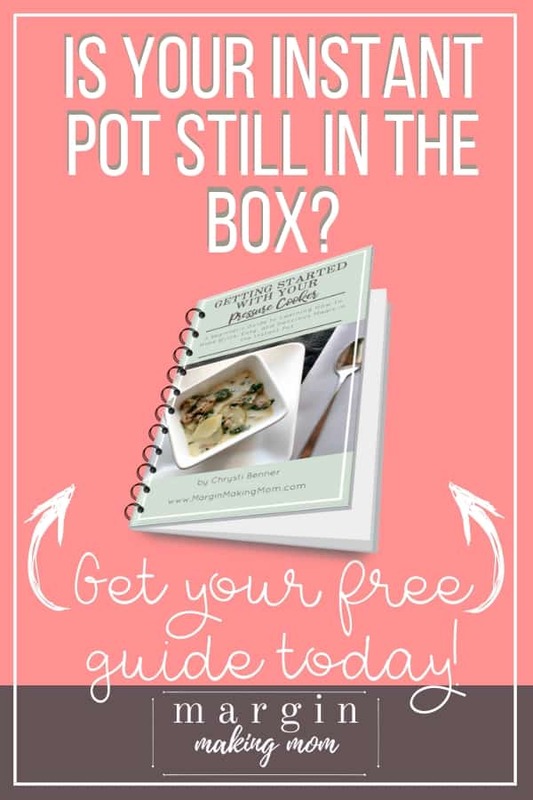 It helps walk you through the basics of getting started, helps you feel more confident and less overwhelmed, and clarifies the confusing aspects of pressure cooking. Best of all, you can get it FREE when you sign up below! "I am loving getting to know my pressure cooker...thanks for holding my hand along the way!" "I am having fun with the Instant Pot. I appreciate all the information you have for my new cooking adventure!" "I used it for the first time last night for crockpot pizza. It turned out great!" "First of all, thanks for sharing your knowledge and experience in such a friendly and delightful way!!! I'm already a grandma, and until now have had zero experience with a pressure cooker. So far I'm very impressed with the results...thanks again for your guidance into this new realm of cooking!"